Ramin has been an inspirational educator throughout his career. From tutorials in cognitive science and neural networks for undergrads (with free tea!) in the Experimental Psychology department at Oxford University, through two-week derivative courses for traders at an investment bank, Ramin never fails to leave audiences knowing more and feeling good about themselves in the process. ​Ramin has published two books in investment: "A Financial Bestiary" which is a handbook for people in the exciting world of investment banking and fund management (this has nine five star reviews on Amazon) and "Invest in Fear" which explains how to buy and sell volatility. 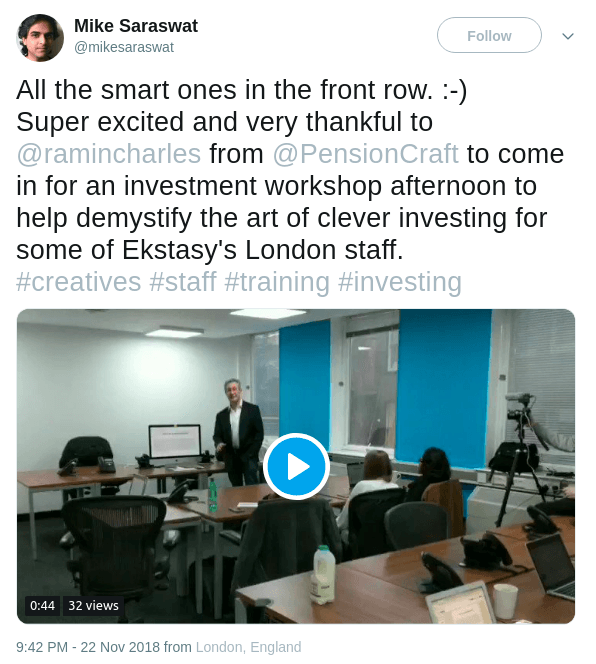 Ramin founded PensionCraft in 2016 to teach people how to invest.​ He worked as an Asset Allocation strategist at an investment bank for six years advising pension funds, hedge funds and insurance companies how to invest. Previously he worked as a teacher in a Business University within an investment bank training sales, trading and ops people on stocks, bonds, swaps & derivatives. As an academic he has a first class degree in Physics and a doctorate in Biophysics from Imperial College in London. ​PensionCraft: Investment Education for everyone via social media and membership of our investment community. PhD in Biophysics, Imperial College, London: How do general anaesthetics work? I worked on a specific type of receptor in the brain called an Acetylcholine receptor, to see if we could identify one of the target sites for a commonly used general anaesthetic called isoflurane. Discussing the economic outlook for China over the next ten years alongside Baring Asset Management’s Christopher Mahon. A "no" vote in the July 5 referendum would increase the likelihood of Greece exiting the euro area to 70 percent from the current 40 percent, while a "yes" vote would reduce it to 20 percent. Ongoing talks between Greece and it creditors, and when a breaking point or compromise may be reached. 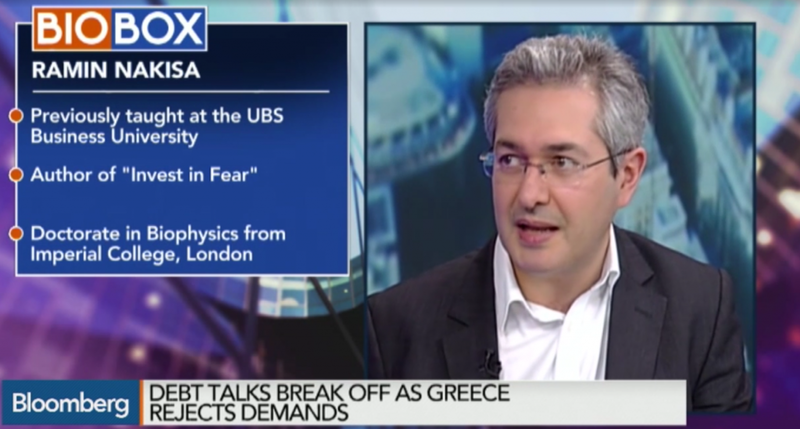 With Bloomberg’s Vassilis Karamanis discussing Greece’s ongoing negotiations with its creditors and how investors should view the possible outcomes. Will Russia have more political persuasion in Europe?